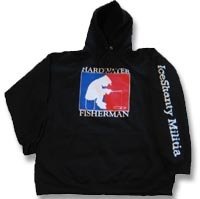 Bought new Carharrt gear and Ice fishing gear for Christmas and I can't wait another month to get on the ice. I'm from Pittsburgh, anyone know of a trip I could take within 6 hrs that I can take to get me on 4+ inches of ice??? Lakes in New York?? Anywhere? when you find out let me know. i was going to head to Michigan this weekend but it don't look good up there. my brother by law lives in Fenton and he said its the same weather and problems. Good luck to you, hopefully soon PA will be hardwater. 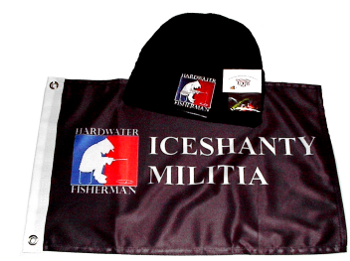 I quit spending money on ice fishing gear 3 years ago. I also stopped making my annual trip to PA during (what used to be) ice fishing season. I can't justify spending my limited outdoors $$$ on gear I MIGHT get to use a day or two a year. I now make my trip for the entire month of May instead of spliting it into two weeks in Jan-Feb & 2 in May. My money gets spent on fly fishing trips now. Yes, I miss ice fishing. But there comes a time when you've got to admit that your job at the buggy whip factory ain't coming back and it's time to move on. Unfortunately, you might be right. It definitely seems like we get more warm ups and more heavy rains in the winters now. Wish I hadn't put my boat away before Christmas. Haha. I've still got my fingers crossed for hopefully getting a few weeks or maybe a month of ice! It looks like after today we're supposed to start getting colder here in the center part of the state. Hopefully we're on the ice next week sometime and it hangs around. Thanks for the heads up! Unfortunately these are all 6+ hours away from me. Too far for my wallet. haha. 10 days of solid ice making weather at Mt. Pocono, starting tomorrow. Two hour drive for me but hoping I'll be out by the weekend or soon after. Well, I don’t give up that easy! Been out 3 times so far. Had to drive over an hr North Sunday to find safe ice, but did. Last year when guys were complaining about the warmup in Feb and all but gave up, I got back out on the ice for a couple weeks in March. I got out over a dozen times last year, even though it was not a great season. Fifty years ago in late Jan there was 20 - 24 inches of ice on Glendale. I don't believe that's ever the case anymore. I may be wrong, but I don't think Raystown ever freezes over. Thanks Uncle Shorty. I’m just stubborn! I’ve been known to go to extremes just to get out on the ice for a day! I’d still ice-fish even if we only had a couple days of safe ice per year! I hope we get so ice in the poconos by the weekend or early next week. Saw the weather forecast up till then they want a lot of wind hard for the lakes to set up. Uncleshorty,I hard watered fished Raytown on the main part back in the mid 80's trying for stripers and lake trout. Pretty hairy out there, it was plenty thick, just different. I fished on hard water into late March 3 years in a row 2013-2015 and I think I even made April once in that span, all on state park lakes. 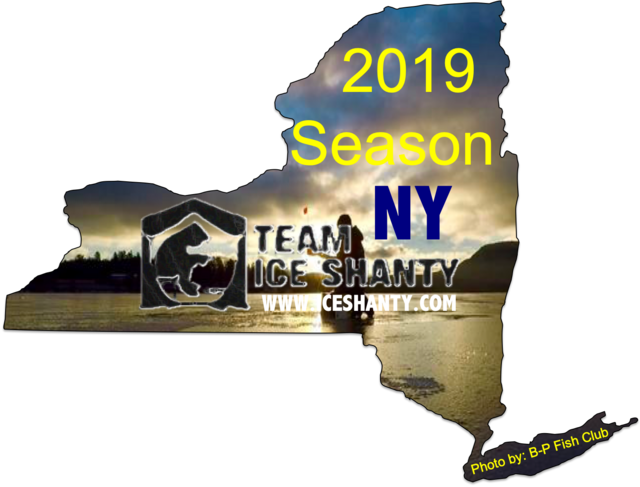 No way climate changed drastically enough in 4 years since to permanently ruin ice fishing in PA. We’ve had a few bad years in a row...but it will come back. 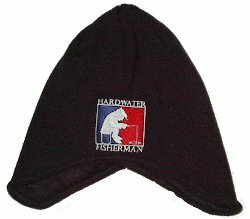 By the way 2012 was a horrible year, most lakes never saw an ice fisherman that season, then Bam, 3 banner years in a row. Hang in there friend's. This weather should make inch a day on most lakes. Next week! Jigging and Grinning. ICE ICE BABY! If I fished only to capture fish, my fishing trips would have ended long ago." I like your attitude YukonClam ! ! ! Winter has finally arrived in Pennsylvania ! Drill baby Drill ! Weather starts looking very promising. Hoping to get out in a few days. After I filled my buck tag this year I started early prepping for ICE. That cold snap in early December had me drooling. The came the warm air and rain. At this point it looks like there is a good chance I will get on ice this weekend. Finally! I hear ya ! It's been a long wait . I just hope no one rushes on without checking the thickness . Low temp of -3 sunday night. I'm thining i better take a few days off work next week.